Cons: Lacks mids and highs, but for the price, you can put that aside. I bought these back in early 2009 – and they are still going strong. For the $70 price tag I paid, these are brilliant. Granted the audio quality is nop notch, unlike its brother the Z-5500 but then again, these are very much cheaper. And when I look at bang for buck – these check all the boxes! When I wanted to buy a sound system, I looked around quite a lot to get the right product. 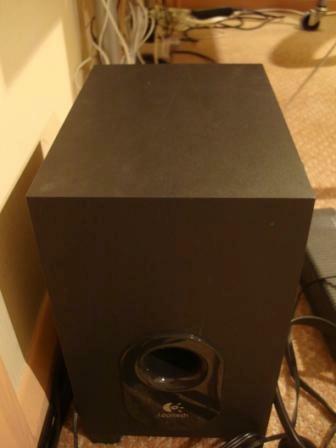 I read many reviews about this sound system and how it was: “A great value for money product”. I have to say that I totally agree! When i first opened the box, I was expecting a sound system that would take me hours to figure out. I was wrong. It took me merely 20 Minutes to set up all five speakers, and the bass. Which came to my delight. The colours of the leads that the speakers have, make it very easy to set up. 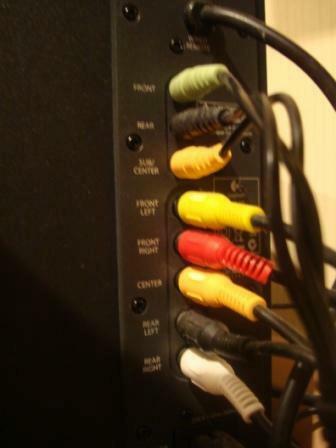 After connecting them to the bass, all you have to do is put the green, black, yellow, and pink leads that come from your bass into your motherboard, or your sound card. Then are ready to get blown away! I found that after I set up the sound system, the sound quality coming out of the speakers were truly amazing, and had a crystal clear sound. Unlike other my old speakers that had a slight crackling behind them. 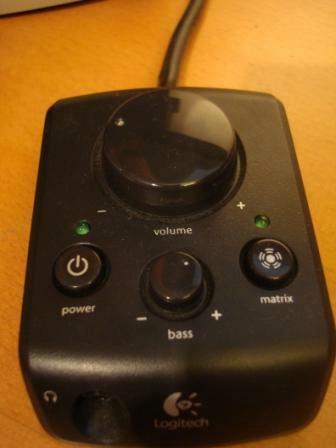 Also I find that the little desktop sound unit that connects to the bass, and allows you to control your sound system, proved to be very useful. Unlike other sound systems out there, you can control the volume of the bass, the master volume, and the ability to switch off your sound system. It also came with the cleaver matrix system button. Although I never use this when listening to my own music, it is useful when you are on a radio station online, or on other sites that would normally play through two speakers and not five. It basically means you will be always able to use all five speakers. I also have an Xbox 360. To my surprise the Logitech X-540 came with an adaptor which meant that I could connect my sound system to my Xbox 360. The only problem with this is that you have to constantly switch the wires between them. this means that if you want to play on the console you have to plug out the wires from the back of your PC and put them in the adaptor, and vis-versa. At the moment, I have the PC adjusted with the Logitech X-540 sound system, and have my old sound system with the Xbox 360. Meaning I have a total of seven speakers! So this meant that I felt the angle of the speakers made them feel “useless”. So I decided to make 2 holes in my wall, to plant the two rear speakers on it, so that the sound is travelling more towards my ears and not to the ceiling. I personally think these speakers were designed to be put on walls more than on a desk, especially for the rear speakers. 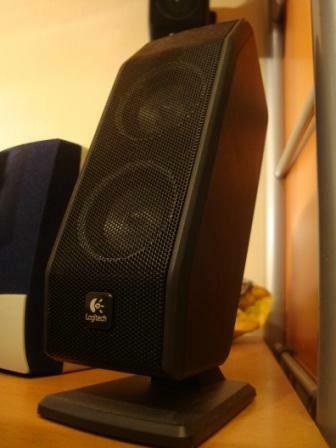 Overall, I think that these speakers are a bargain for the price there at. I fully recommend this product to anyone who wants a reasonably cheap sound system for an amazing performance. Trust me, after you put these speakers on full blast, the house will be shaking, and you will be able to hear the music coming out of your house, from outside! A final note for buyers, and people that already have the product, I suggest putting the bass volume on about 60%, because then the bass isn’t too loud, and yet you can hear it still booming away. This entry was posted in Audio Reviews and tagged 540, Logitech, PC, Review, Speaker, X-540, x540 on March 31, 2012 by TotallydubbedHD. meanwhile in 2016 My 10 year old x-540’s are still going strong. Best budget speakers indeed. Wish they never switched to the z506. 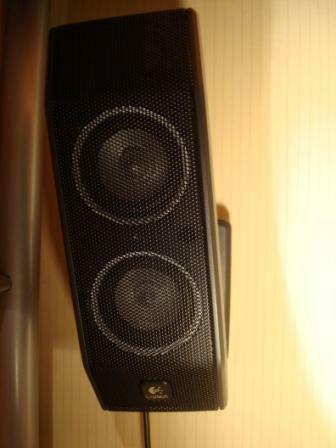 My altec lansing speakers from the same year lasted 6 months if I remember correctly.